Thanks to the guys and girls at 505 Games, we have a Steam Code to give away for their awesome title Tiny Brains! Tiny Brains is a cooperative puzzle that follows four super-powered lab animals in their attempt to escape a mad scientist's experiments. 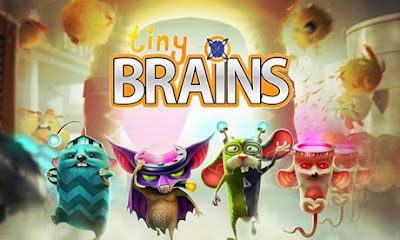 In this joyously chaotic multiplayer game, the four "Tiny Brains" must combine their unique physics-based powers to navigate through a trick-ridden maze. All of the puzzles in "Tiny Brains" can be solved multiple ways depending on how groups combine their powers. The competition will end on the 24th January 2014 and no more entries will be counted then. The winner will be announced on the We Know Gamers social channels the following day. Should the winner not claim their prize, it will be handed down to the runner ups.